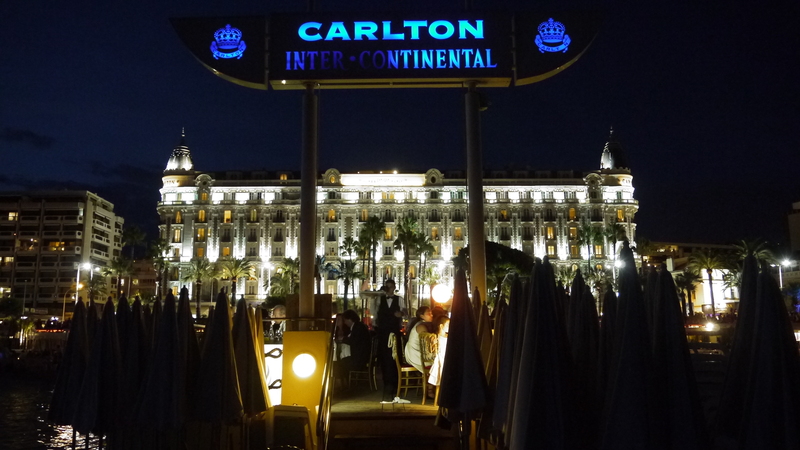 Since 1967, the city of Cannes has been hosting a firework festival that runs throughout the summer season. Some of the world’s finest firework companies from all over the world compete and offer shows that are syncronised to music …… The shows can be seen from the Croisette… and the hotels around the area offer special dinners (which need to be booked in advanced ofcourse) where you can enjoy the beautiful shows while having a nice meal. The Pyragric team from France put a really good show last night….. and we really enjoyed it while having dinner at the Carlton….we loved the music and the fireworks…… and most importantly the kids had a great time ( as usual ) and they just can’t wait to come back next week !!! 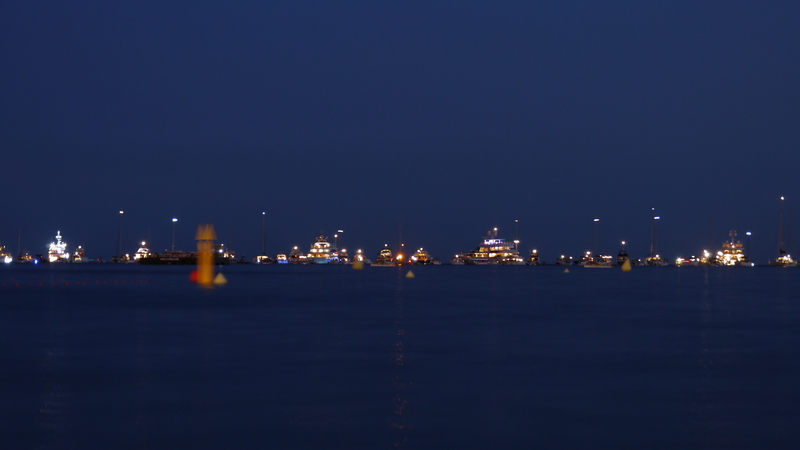 …..
All these boats were there to enjoy the show …. love it! I wanted to put one of our videos up but unfortunately I would just not stop talking :s … so I decided to put this video from you tube …. unfortunately I could not find one from the same night .. this video is from the previous week…. it was by a group called First Galaxy from England. This entry was posted in Holiday, Shows and tagged Cannes firework festival 2011, carlton hotel cannes, Festival d’Art Pyrotechnique - Cannes by mia0909. Bookmark the permalink. Hi there, You have done a fantastic job. I’ll certainly digg it and in my opinion recommend to my friends. I am confident they will be benefited from this site.